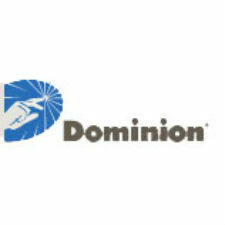 Dominion, government agencies and a company that specializes in removing waste coal are finishing up a major clean-up project in Southwest Virginia that will help significantly improve water quality in the Clinch River by using a half-million tons of “gob” coal to make electricity in a state-of-the-art power station. The Virginia Department of Mines, Minerals and Energy, or DMME, www.dmme.virginia.gov has long considered the 12-acre Hurricane Creek gob pile site its highest priority for reclamation in the Dumps Creek watershed. In 2014, the federal Office of Surface Mining approved DMME’s environmental document for the project and authorized proceeding with the reclamation as part of a larger effort to improve the health of the Clinch River Watershed. Eleven other gob piles in this part of Virginia have already been reclaimed by Gobco, Dominion and DMME because of VCHEC’s waste-coal burning capabilities – approximately 2.65 million tons to date. For vivid before-and-after pictures, go to www.dom.com/vchec. Gob is an old English word that stands for ‘garbage of bituminous.’ Bituminous is the type of coal found in Southwest Virginia. VCHEC is a 600-megawatt power station that utilizes a technology called “circulating fluidized bed” so it can burn waste coal. It can also burn biomass as part of its fuel and currently uses the renewable source for about 10 percent of its fuel. Fitted with the latest environmental control technology, VCHEC began operation in 2012 and quickly took on waste coal as part of its fuel stream. The facility operates under some of the most stringent air quality requirements in the nation for a coal-fired power station.